Scissors often need cleaning after using them, especially if used to cut tape. Keeping your scissors clean helps to maintain their efficiency when used. This is a guide about cleaning scissors. After using my heavy shears to cut duct tape, the blades were all sticky with the glue. It suddenly occurred to me that hand sanitizer gel might just cut through the crud if rubbed with a paper towel or old washcloth. 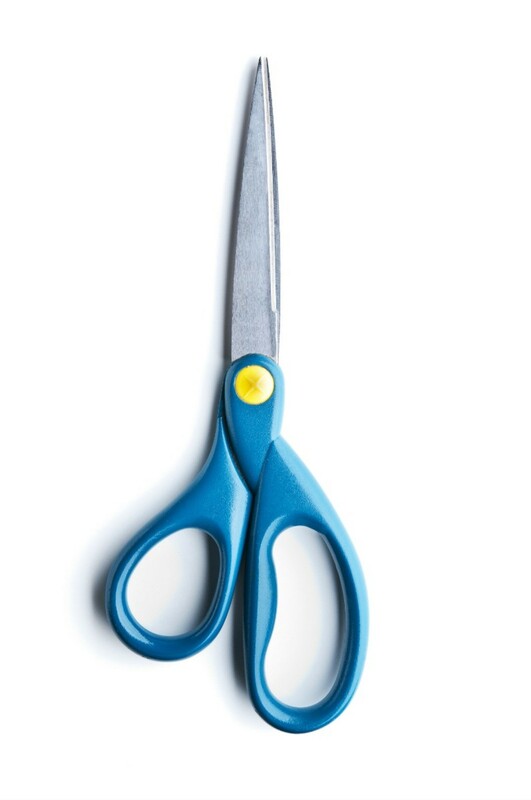 Use WD-40 to clean gunk off of scissors. It is also great for removing label gunk. White vinegar will not ruin the blades of scissors or rust the metal like water and soap will. 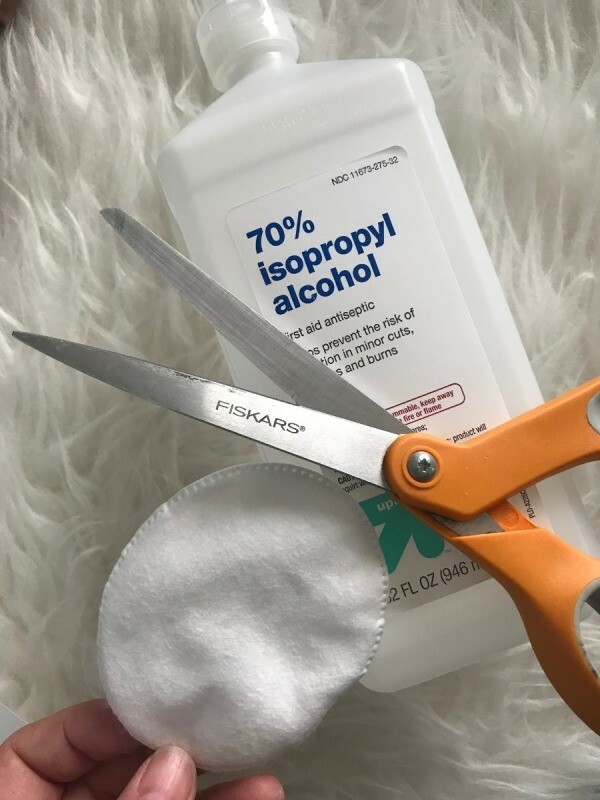 Use a cloth soaked in white vinegar to clean scissors instead of water. How do you clean the residue of double stick tape from scissors? I would suggest fingernail polish remover. You can buy small can of adhesive remover or cleaner at any hardware or automotive store. I always keep a can of "Goof Off" in my tool /supply cabinet. It comes in handy for removing adhesive residue and other types of residues. Applying with a paper towel will get the residue off pretty easily. Smaller cans of "Goof Off" only cost about $3-$4. You can also use vegetable oil (or cooking spray) and rub with a paper towel. Then wash with soap and water and dry well. It will definitely work, and is gentle on finishes. Nail polish remover or rubbing alcohol will work. Saturate a cotton ball and rub it on the blade. I've been using Clorox wipes (generic with lemon work better though), or my magic Eraser. I even use the Lemon wipes to remove film from the Starbucks Frappucino labels when I peel them off to make vases. The best thing for cleaning things like that is good ole WD40 it will not harm the surface and is not toxic in any way. I keep a can in the kitchen and the garage. Lighter fluid....it's cheap and it doesn't leave a oily or greasy residue. It doesn't mar the finish like nail polish remover and evaporates quickly. We are a non-smoking household but I have a can of lighter fluid in the bathroom, kitchen, laundryroom and garage. It lifts off those dang labels that are soooo glued on, takes the goo off everything, scuff marks off the floor, tar off your clothes, just a million uses for it. I couldn't live without it. Crazy as it sounds, I cut double sided tape all the time. I take a piece of the same tape. and "dab/pull" it off. Like removing lint from a sweater. You do have to press "dab" more firmly. The residue will bond with the tape more then stay on your scissor blades. 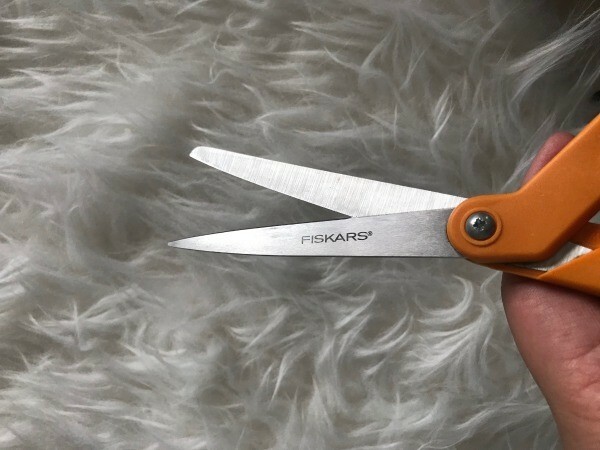 It's a great time saver in between cutting when you don't want to use chemicals, when after a few cuts, your shears will be gunked up again. I thoroughly clean my scissors in between projects. I found WD-40 in a pen style. like a "Tide" pen. It has no smell and you don't get the drips from spraying from big can. Lubricated scissors with petroleum jelly, wiped off, then used a pencil eraser. Worked great! U can just erase it off with a normal eraser but it will take longer time. Try using white vinegar and rub it in the scissors blade. 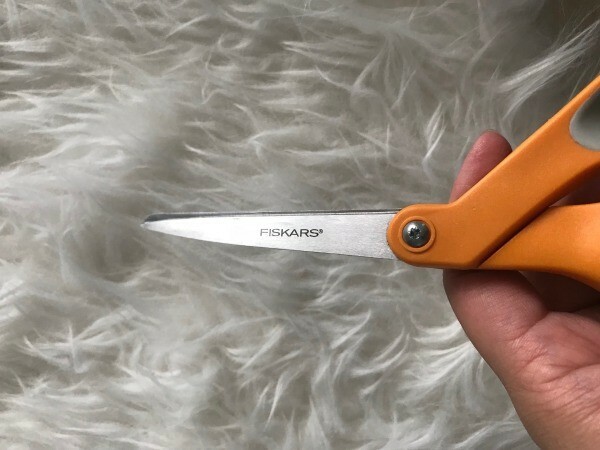 How do you remove sticky residue from scissor blades? Try nail polish remover on a cotton ball. Rubbing alcohol is good too. GooGone is a good product as well, and WD-40. I am with OliveOyl when she recommends Goo Gone. I absolutely love that stuff. You can find it at the Dollar Tree and I load up the tip of a Q-tip(Dollar Tree brand) so as NOT to waste it. I use the Q-tip to work on the sticky stuff and if I don't use both ends, pop it in two pieces and save the unused portion for the next time you need one. Hope this helps. Depends on what it is. Rubbing Alcohol & Fingernail Polish Remover work wonders, but for the stubborn goo, you'll most likely need Goo Gone. Ditto on the previous suggestions. If you don't have rubbing alcohol sometimes hair spray will work in a pinch. Also sometimes cooking oil (veg, canola, etc) on a cotton ball will work but sometimes takes a little longer. Peanut butter. An appliance salesmen told me about peanut butter 15 years ago. Rub peanut butter on leave it for a few minutes and them rub off and wash and dry. I but the cheapest I can find in a small jar. It lasts forever. I would only use the on hard surfaces, use your judgment, try a small test are first. I have used it to remove sticky double tape, maks left on my fiber glass showers etc. One of the best ways to clean them is to use WD-40.